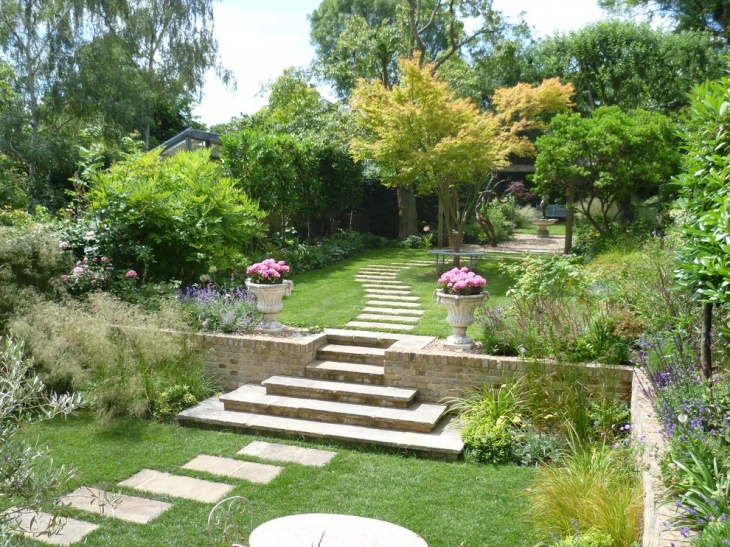 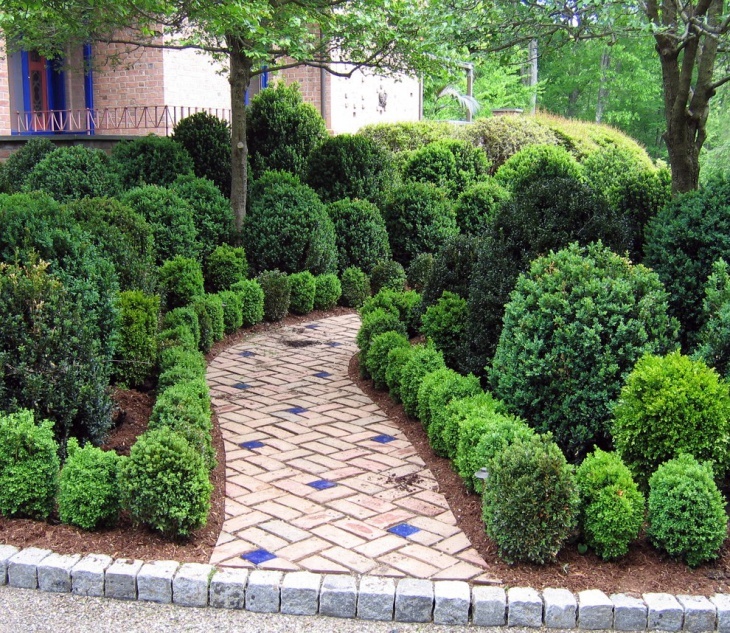 Garden walkways are the most important component for any garden. 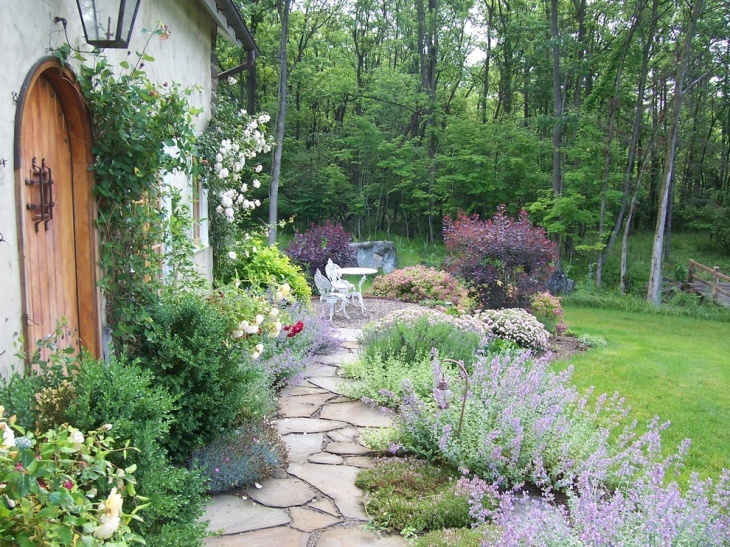 Walkways are used in the garden for different reasons. 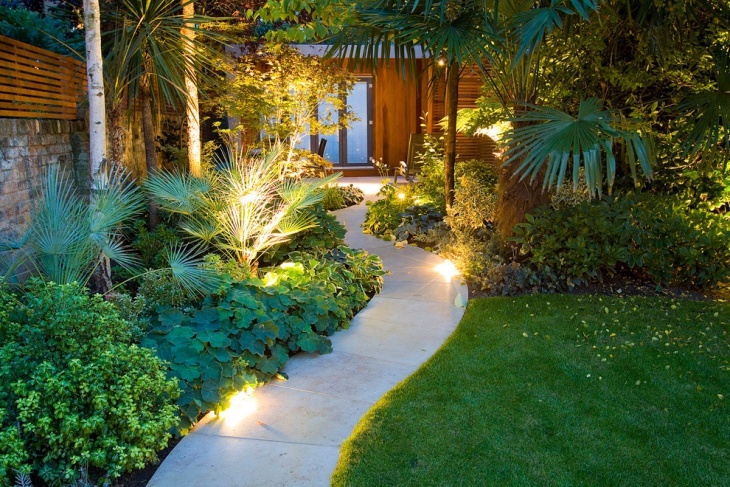 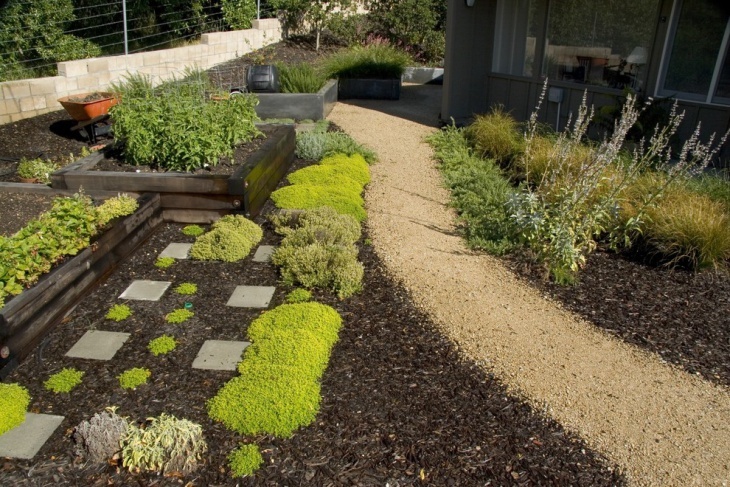 Apart from defining a specific path for the walkers in the garden, walkways add an aesthetic value to the garden landscape. 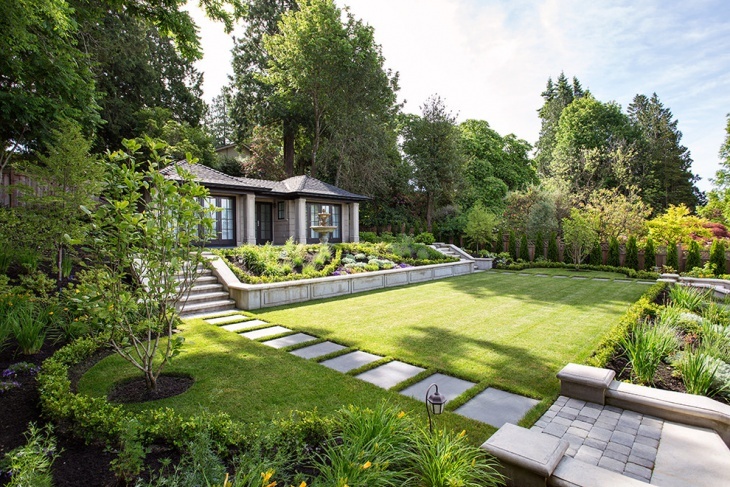 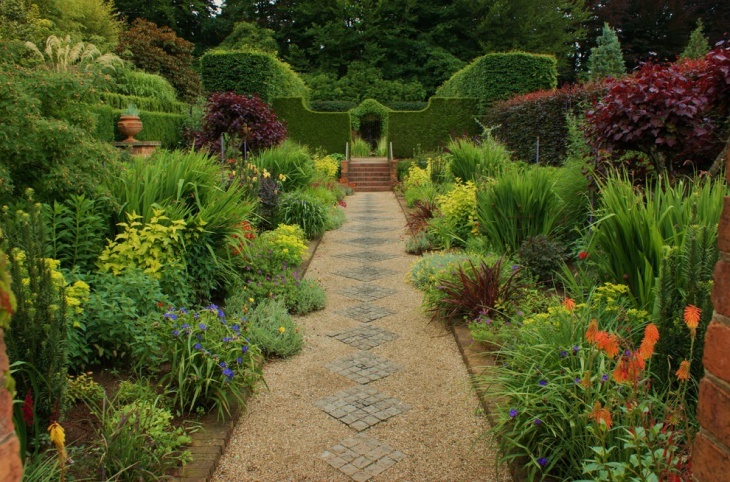 The design of the garden walkway affects the complete landscape of the garden so selecting the designs for garden walkway, sufficient amount of time and effort needs to be invested. 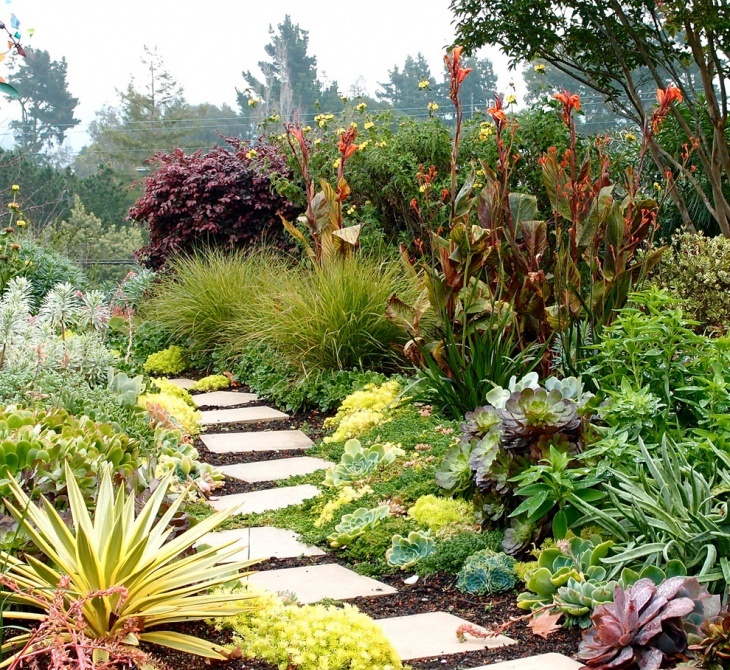 The moment you have planned to have a walkway in your garden, you must be clear about the goal of having it. 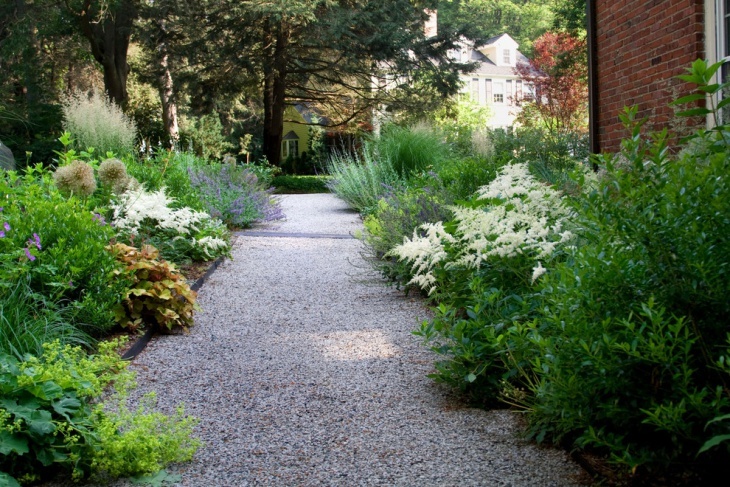 A walkway can be there to protect the grasses from getting crushed or it could simply to add a stylish look to the garden. 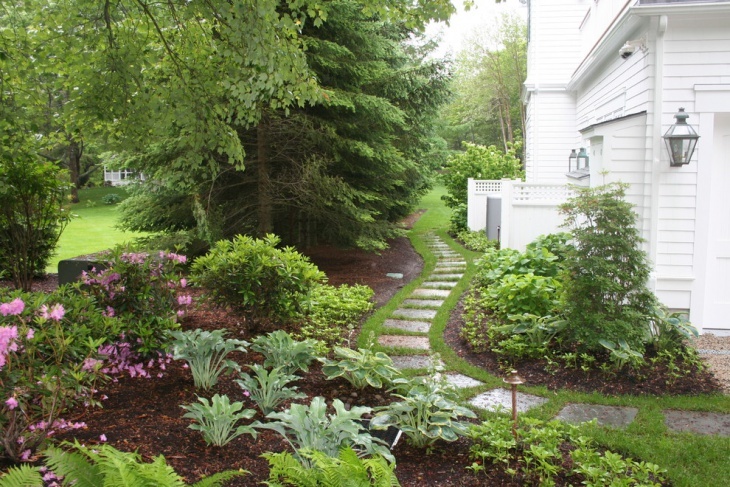 Understanding the goal of having the walkway will help in designing it better. 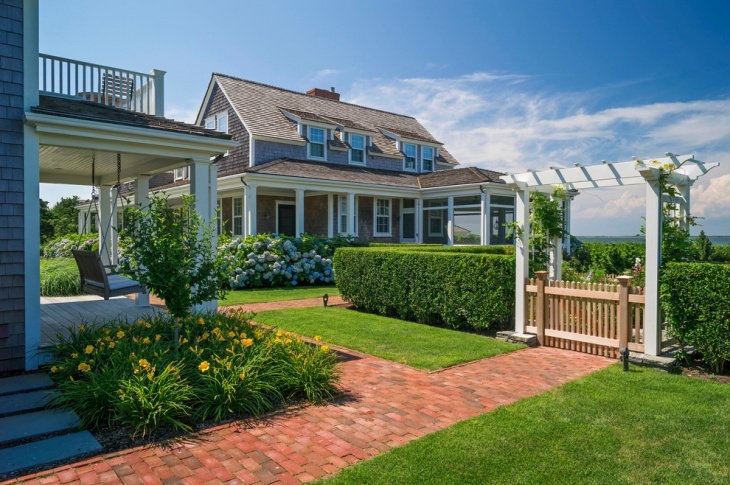 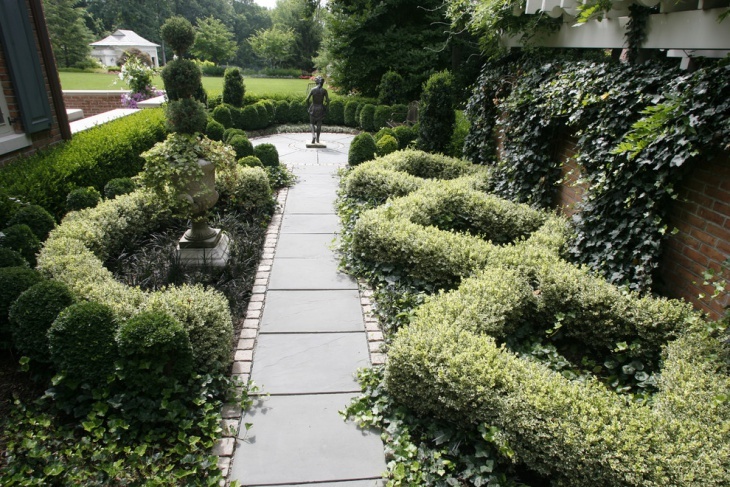 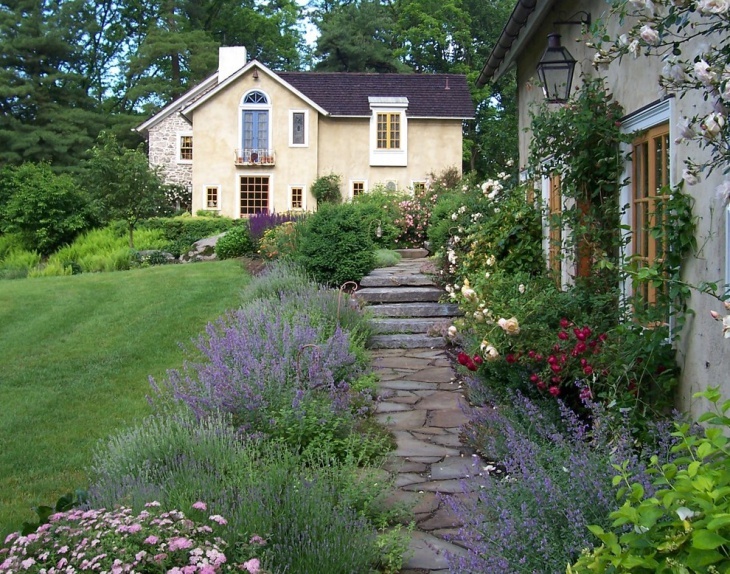 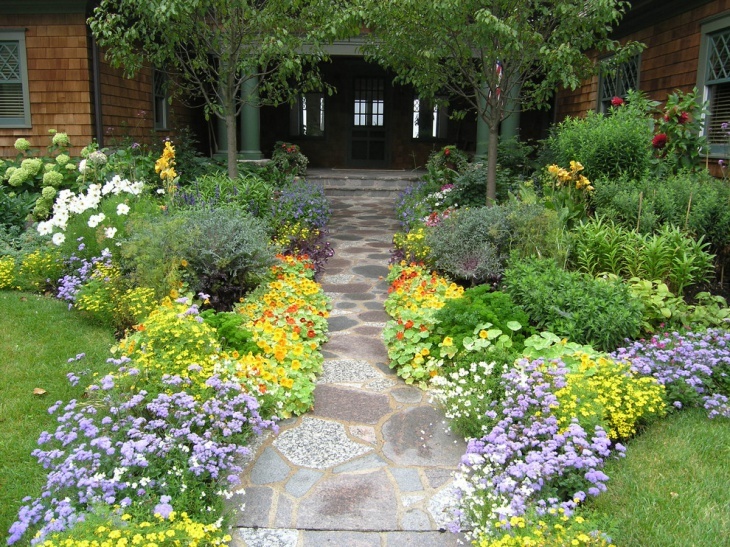 If the garden walkway leads to the entrance of the house, it should preferably be a wider one. 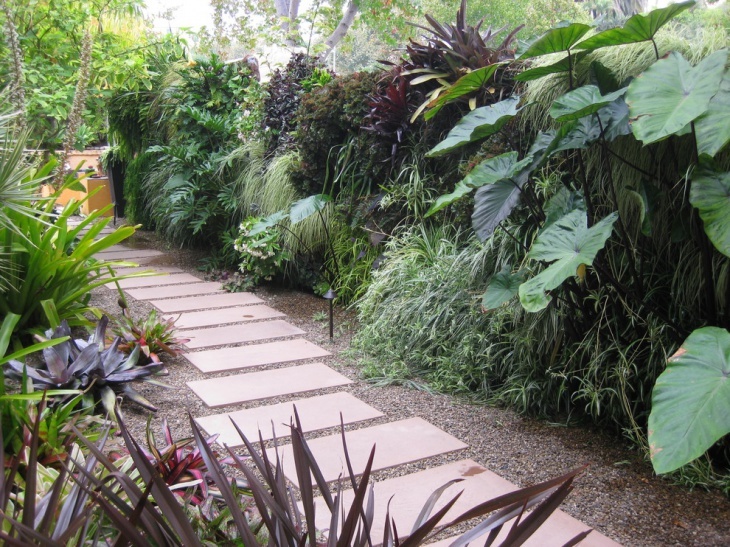 Garden walkways can be made with different types of materials. 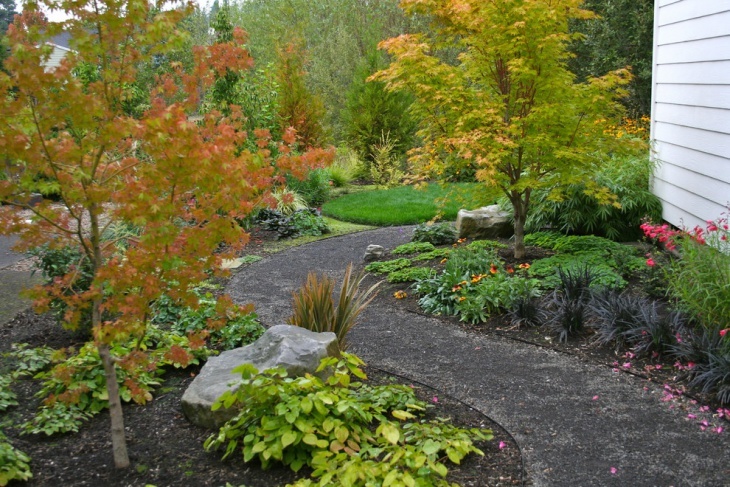 Crushed stones or using assorted stones for the garden walkway will add stylish look to it and will be cost effective too. 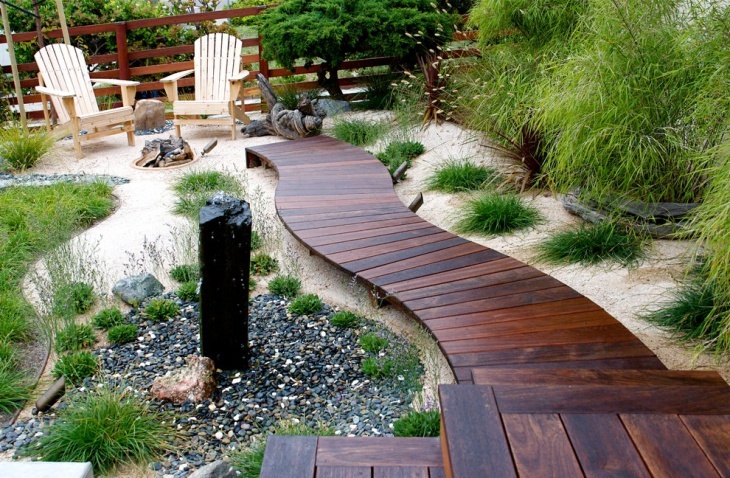 Such walkways come with a rustic look and are easy to install. 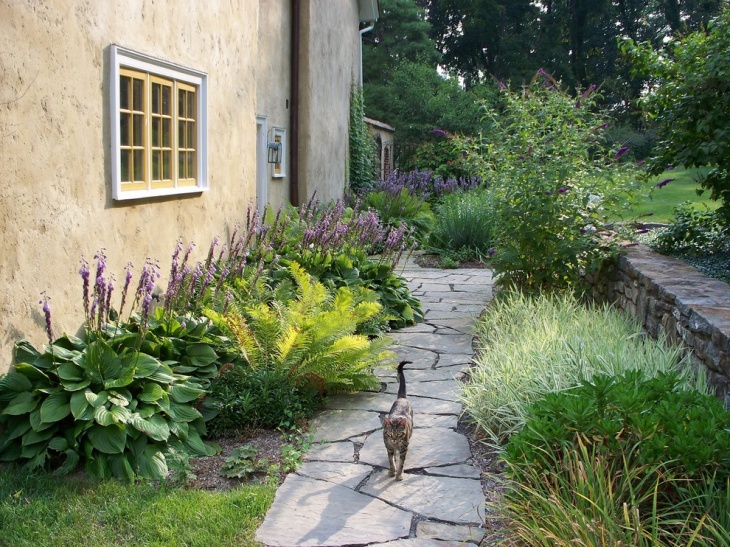 Stamped concrete is also another choice for garden walkways as it lends a natural look for the surrounding. 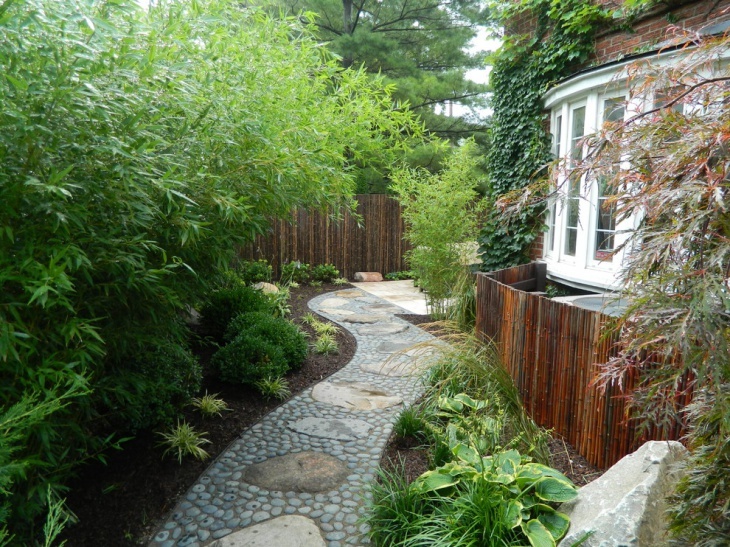 Other materials used can be natural stones, pavers and bricks.